The simulator replicates the conditions an assembly experiences while being routed during installation in an aircraft. By comparing signal integrity before and after installation, Gore can eingineer assemblies that withstand airframe installation as well as the demands of the aircraft's flight envelope. Gore has long been a proponent of showing accurately how its products and technologies function in real-world environments before bringing them to market. 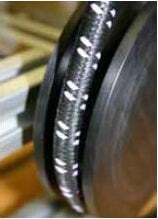 Because nearly one-third of cable failures occur during installation, this is a crucial risk factor to minimize. Damaged airframe assemblies can lead to compromised signal integrity and failures over time, as well as additional testing, maintenance and replacement costs. With the new Cable Installation Simulator, military and civil aircraft manufacturers can be confident they are getting a reliable cable assembly solution that withstands the rigors of installation and reduces the total cost of ownership. Prior to installation in the simulator, new cable assemblies are tested to verify the insertion loss and VSWR over a given frequency range. This information serves as the baseline to evaluate any performance change after being routed through the simulator. 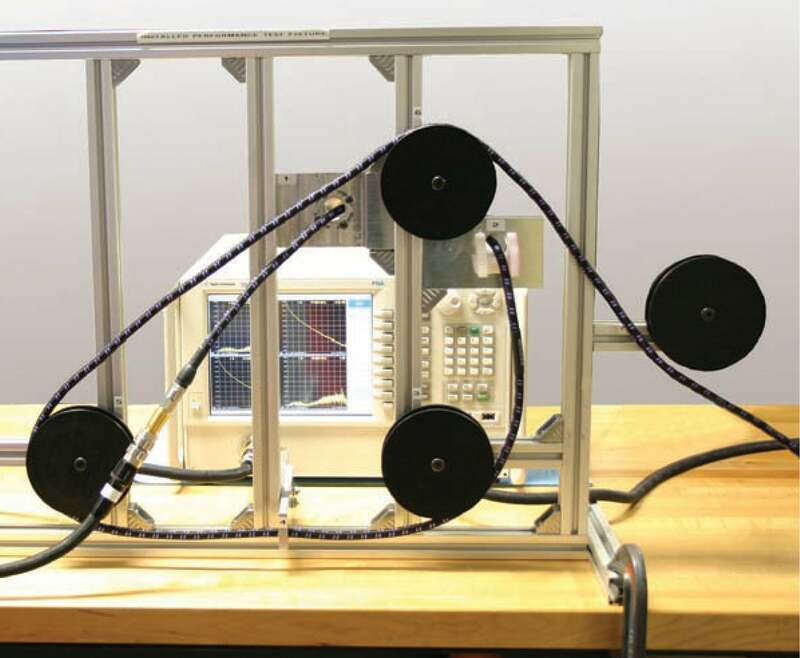 Gore's Cable Installation Simulator replicates the conditions a cable assembly experiences while being routed during installation in an aircraft. The device uses four mandrels to simulate routing an assembly around the internal structure of an airframe. The mandrels replicate MBR conditions that the assembly will encounter in an aircraft. 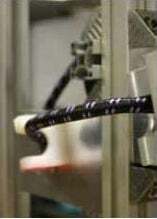 Several routing guides are used to induce torque into the assembly as it is pulled through the simulator. Next, the assembly is pulled through an abrasion bar to simulate routing across sharp edges or through access holes in the airframe structure. Use of the Installation Simulator gives aircraft manufacturers and installer’s evidence that their assemblies will provide the same level of electrical performance after installation as when they are brand new. And they can be assured that the assemblies will continue to perform reliably throughout the service life of the aircraft. Aircraft manufacturers need reliable solutions that can be installed deep within an aircraft and left there for the life of the platform. Therefore, we want to create 'fit and forget' solutions that will survive the demanding environments within an aircraft. "We are committed to designing next generation products that solve key challenges, and mitigate risk for aircraft," said Paul Pino, Lead Principal Design Engineer at Gore, "To do this, we test and simulate real world conditions to ensure that our products do what we say they will do, consistently and reliably even in harsh conditions."